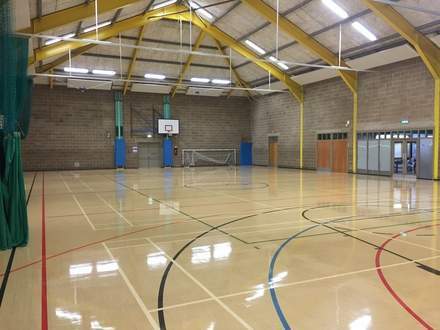 Our sports hall is a large multi-purpose space that caters for a number of team sports and activities. These include; badminton, table tennis, short tennis, 5-a-side football, bowls, as well as yoga and other fitness classes. If you would like to hire out our hall for activities then please give the centre a call on 01223 576412 for more information. Racquet sports are a great way to stay fit and have a catch up with friends at the same time. You can hire all of your equipment from us and our courts can be booked for play in advance during centre opening times. Racquet sports include; badminton, short tennis and table tennis. 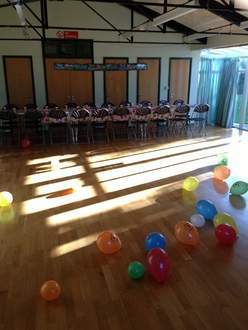 At The Cherry Hinton Village Centre we offer a wide range of affordable, themed birthday party packages for children under 16 years of age. In addition, we also hire out our meeting rooms for self-catering options. Whether you are interested in bouncy castle, sports, games or a more sophisticated celebration or reception, The Cherry Hinton Village Centre is the place to plan your party. Out of hours bookings for social events are also available upon request. Please call the centre for further information on (01223) 576 412. Fitness classes are the perfect way to to vary your workout and keep fit in a fun and sociable environment. We offer a range of classes - for all levels and abilities.